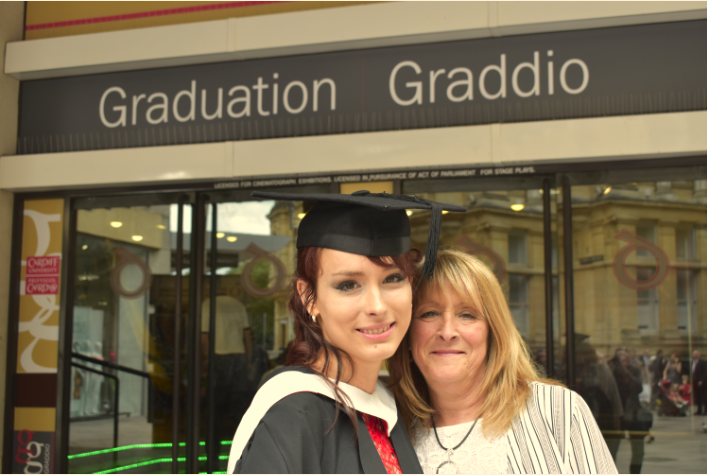 A young woman who has battled serious illness, severe financial problems and life in a women’s refuge has graduated from Cardiff University with a law degree. Diana Isajeva from Pontypridd and now living in Barry, was referred to Action for Children’s Rhondda Cynon Taf (RCT) youth support service after a number of problems threatened to seriously derail her life. 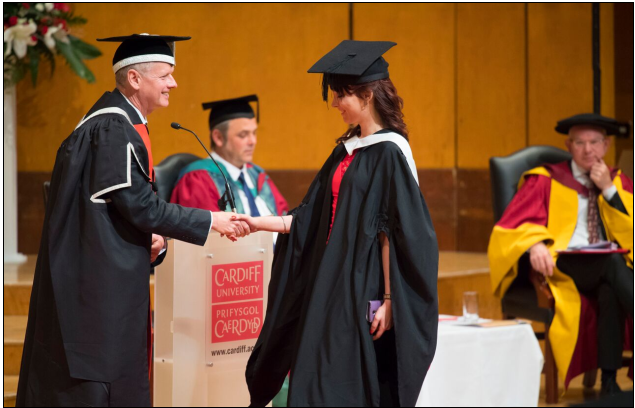 She achieved an upper class second degree (2:1) and was presented with her certificate at a ceremony in St David’s Hall, Cardiff on Tuesday 12th July. Diana, 22, said: “I’m absolutely thrilled to graduate, it’s an emotional moment for me after all I’ve been through. It wasn’t long ago I was on a life support machine with my kidneys, heart and lungs failing so to walk up on stage and receive my degree is just wonderful. Despite all her challenges, Diana was an active student who was elected student with disabilities officer and NUS student with disabilities campaign officer. She has also mentored for the Vale of Glamorgan Council Diversity in Democracy project, where she represented disabled students on a national and international level at conferences. Diane Evans said; “We never give up on children and young people, they are central to everything we do and I’m so proud of Diana. She truly is an inspirational woman and has faced some enormous challenges in her young life. She was living in a women’s refuge when she was first referred to us and in all sorts of financial trouble. With our help, she confronted these problems head on and began to flourish in school and we stayed in touch.